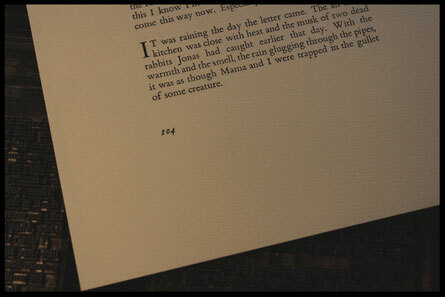 I've reached another printing milestone this month, cracking page one hundred and four. Now, I've only thirty-two to go! What's the story behind the hare? It occurred to me that you might like to know the tale behind my press name and logo. Two years ago, when I began this project, I realised I'd be needing a name for my little publishing house. I had a clear idea of what I wanted my press to achieve but, with a mind-boggling amount of work before me and my gaping abyss of ignorance as to where to start, I realised that I was doing something inspired―but probably also very foolish. Still, I wasn't discouraged; after all, didn't the great poet, artist and visionary William Blake say, 'If a fool would persist in his folly he would become wise'? If I could pull it off I'd have the wisdom of accumulated experiences, valuable skills, and a beautiful book to share. In our time you might call building a book from scratch using traditional crafts 'harebrained'. 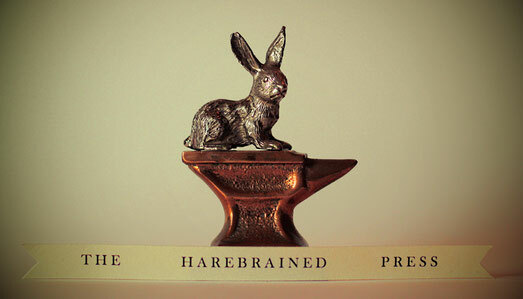 A harebrained scheme is 'rash' or 'foolish' ―and is named for hares' madcap antics during the spring mating season, their crazed leaping, chasing and impromptu boxing matches. 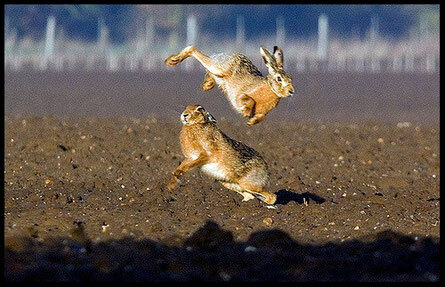 The hare presented itself as my mascot in a very spontaneous, natural way. I liked the anvil's multilayered symbolism. Based on the elite education in physics we all received as children from Roadrunner and Wile E. Coyote, everyone agrees that, of all available objects in the world, the anvil is literally the best press. 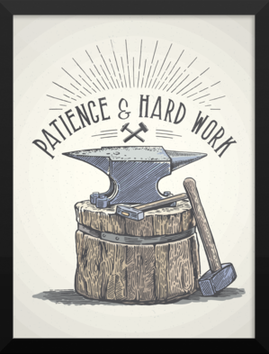 To me it's also a fitting symbol for craftsmanship and work, because traditionally blacksmiths were representatives for both. Working with every element―fire, air, earth and water―the blacksmith was associated with the Demiurge, the material creator of the universe. Now, I know that comparing the making of a book to the creation of the universe is a bit of a stretch. But for someone like me, who's found entire universes in books, it does feel a bit like creating a whole, self-contained world. 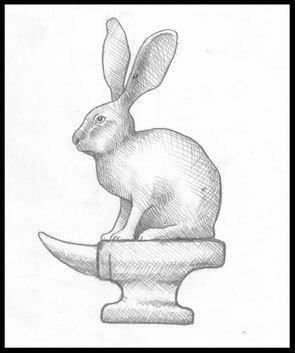 So, the anvil seemed a very fitting plinth for my hare. With the wonderful design and drafting skills of Kain White, we came up with this concept drawing, which was then developed into the logo. The beauty of undertaking a harebrained project like mine nowadays is that it's not too hard to find resources. The downside? Most of them are in the United States. Still, if you can get past the staggering postage costs, what you find there is a letterpress printer's dream! Did you know that you can send away an image file and have it cast―reversed and in relief―ready to lock in for printing? That's what this is: a magnesium die. 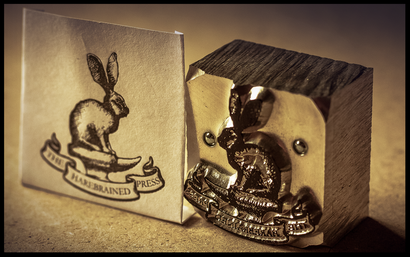 It's been used to print the logo on my business cards and I'll heat it in a foil stamping machine for the spines of my books.